For patients with missing teeth, dental implants can make a dramatic difference in oral health, appearance, confidence, and even quality of life. Dr. Lawrence Bauman and his staff provide dental implant restorations in Fanwood, NJ. To ensure superior results, Dr. Bauman works closely with an oral surgeon and the team effort promotes quality, predictable results for optimal placement, natural looking restorations and longevity of both. Single Tooth Replacements – If you are missing a single tooth or several teeth in different locations, a crown is used to complete the gap. Implant Supported Bridge for Multiple Teeth Replacement – If you are missing groups of teeth, an implant bridge can be used to restore your bite. 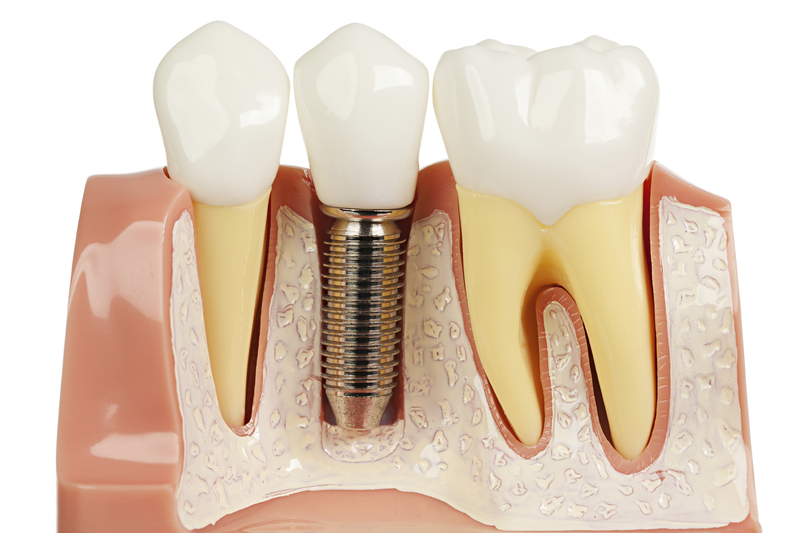 Unlike traditional bridges, implants are used to anchor the structure so neighboring teeth and soft tissue are never compromised. Implant Supported Dentures for Partial or Full Arch Restoration – Fixed dentures offer a comfortable and stable option to traditional dentures. The implant denture alleviates the need for adhesives, will improve bite strength, and will feel like your natural teeth. Implant supported dentures can be secured onto as few as 2 dental implants depending on the patient’s quality of bone in the placement area. If you are interested in dental implant restorations or want to find out more about the implant process, contact Fanwood dentist, Dr. Lawrence Bauman to schedule an appointment. Lawrence Bauman, DDS happily serves patients in the surrounding areas including Scotch Plains and Westfield. After an exam, Dr. Bauman will discuss your available options so you can make the best decision to restore your oral health.